Using one of the many powers ceded to her by the Democrats' health care law, Health and Human Services Secretary Kathleen Sebelius declared that a broad range of "women's preventive services" must be covered by insurers, without any deductible or co-pay. Included under that heading are "all Food and Drug Administration approved contraceptive methods," including so-called "morning-after pills" that often kill already fertilized human embryos. They do this by preventing a newly created embryo from adhering to the uterine wall. Though lethal, this does not technically constitute an abortion. That's because in an abortion, the thing being aborted is the pregnancy, not the fetus or embryo. 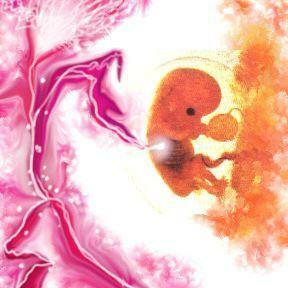 If an embryo has not been conceived in the womb, there is no pregnancy, and therefore can be no abortion. Hence, a "morning-after pill" like Plan B can accurately be described as a contraceptive, in that it prevents conception in the womb, despite the fact that it kills an existing human embryo. Last year, the FDA approved a drug called "ella" (chemical name: "ulipristal acetate") to be used as a contraceptive, which qualifies it for inclusion among these essentially free services. The catch is that ella can also be used to kill a child who has already been conceived in the womb. That makes it an abortifacient, no matter how you slice the semantics. In fact, ella acts in the same way as mifepristone, a drug more commonly known as RU-486. By suppressing a hormone called progesterone, it not only prevents an embryo from implanting, but can also weaken the womb's lining to the point that an already implanted embryo will detach itself and die of malnourishment. There can be little doubt that the secretary is aware of this. When she was governor of Kansas, Sebelius distinguished herself as the most pro-abortion politician in America, something she demonstrated by defending notorious late-term abortionist George Tiller the way a mother bear protects her cubs. If we assume that her whole motivation is to force Americans to pay for abortion (and in the words of Max Bialystock, "assume away"), then we can see that this is how it has to be done. She could not have openly trumpeted an abortion drug giveaway program, but what if she could frame such an outcome as an unintended consequence, and conceal it so that it would be realized only gradually? To that end, Sebelius could not have included RU-486 in her decree, because of the publicity that drug has received in the past. On the other hand, few people have heard of ella, which the FDA conveniently characterizes as a contraceptive, while stating that it is contraindicated for abortion. Not that this distinction will matter to those who administer it. Planned Parenthood has systematically and hazardously disregarded FDA guidelines for administering RU-486 over the years, without any legal or political consequence. That same organization now brags that it "played an integral role in the development of ella," by participating in clinical trials, and producing a report on the drug's alleged safety and effectiveness. PP is surely aware, then, that ella has proven effective at inducing abortion in rats, and to a lesser degree in rabbits and macaques. The "family planning" group also knew the importance of classifying the pill as a contraceptive, which is why it subsequently petitioned Sebelius to guarantee insurance coverage of contraceptives at no additional cost. Inevitably, and probably soon, the FDA will revisit ella, and declare it to be "safe and effective" for inducing abortions in humans as well. Nevertheless, ella will still be an FDA-approved contraceptive method, and will thus remain "free" under Sebelius' mandate. Sebelius was given this extraordinary power by phony pro-life Democrats, who voted for the bill in exchange for a constitutionally meaningless executive order signed by President Obama, promising "to ensure that Federal funds are not used for abortion services." Even if this order were enforceable, Obama and his party have found a way to circumvent it. The new abortion pill will be paid for not with federal funds, but through your health insurance premiums. This is the kind of thing that happens when Congress creates fill-in-the-blank legislation, that leaves major policy decisions to the unilateral discretion of an unelected official. As Nancy Pelosi, who was then Speaker of the House, famously said at the time, "We have to pass the bill so that you can find out what is in it." On second thought, let's repeal it, and let the rest of its contents forever remain a mystery.